Go full-speed ahead in the rain and be fully engaged with the ground in the Vivobarefoot Ultra running shoe! You can be totally immersed in water, these shoes will still help you to your advantage. In the Vivobarefoot Ultra running shoe, you can also gain cooler ground during a heatwave because of the large perforations in the upper of the shoe which allows tons of air to blow in. 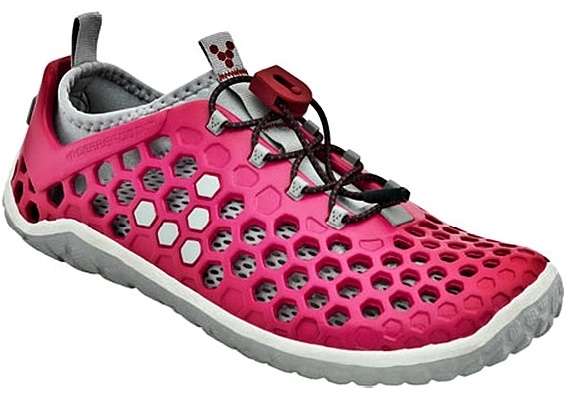 As you can see, the Vivobarefoot Ultra running shoe looks sort of like Crocs, but are tremendously better on so many levels, like getting you more closely connected with the ground, being more flexible, so the overall shoe moves more easily and natural with your foot. According to minimalist shoe wear-testers, the Ultra is good for running longer distances on asphalt, but can also be worn for beach activities. The Ultra is lighter than most Vibram (VFFs) running shoes and is tailored more for water sports, but what I love most about the Ultra is the high level ground feel despite being slightly cushy than most VFFs, the Ultra still makes running less risky by delivering good sensory value, so you can maintain efficient form as compared with running in traditional running shoes. The Ultra is an excellent choice for forefoot running because of its ultra thin outsole, but it also provides exceptional comfort with its inner sock-liner that is removable if you want better ground feel. 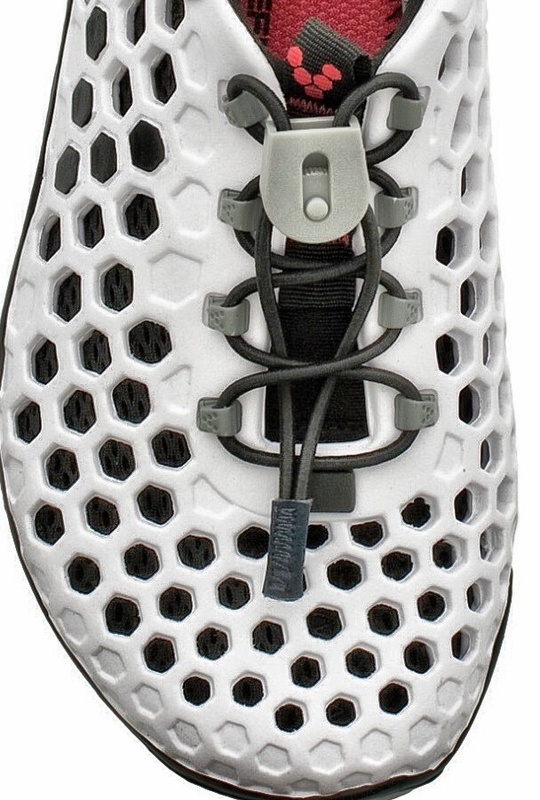 And, the speed-lacing system allows for quick, convenient removal and placement of the shoe. The Ultra forefoot running shoe is prefect for light trails, cross training, water sports, long runs, or general beach-side and urban barefoot exploration! Ventilates well and doesn’t smell bad either! The Ultra’s puncture resistant outsole keeps your feet completely safe-guarded during your runs. The best feature of the Vivobarefoot Ultra is that the shoe works with your foot’s anatomy to deliver exceptional proprioceptive quality –these shoes are the perfect tool for unlocking the strength of the human foot. The shoe is extensively crafted to suit anyone who wants to leap into pure minimalist and barefoot running. 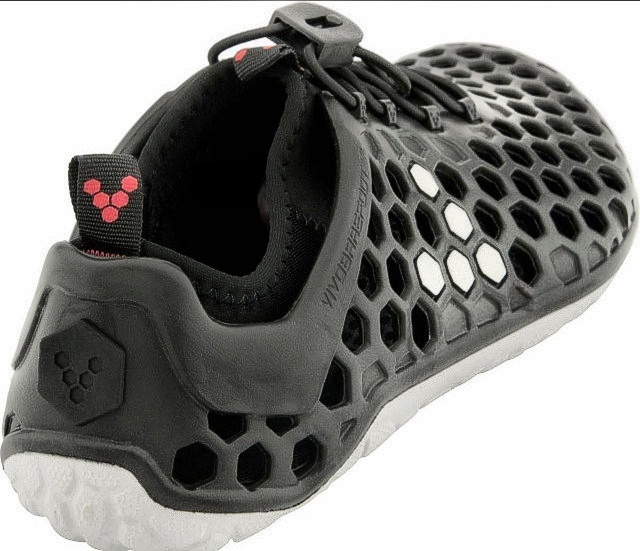 Here are more reviews I have done on barefoot running shoes from Vivobarefoot. If you need more options on footwear for forefoot running, check out 30+ reviews on zero drop minimalist shoes I’ve compiled for you.